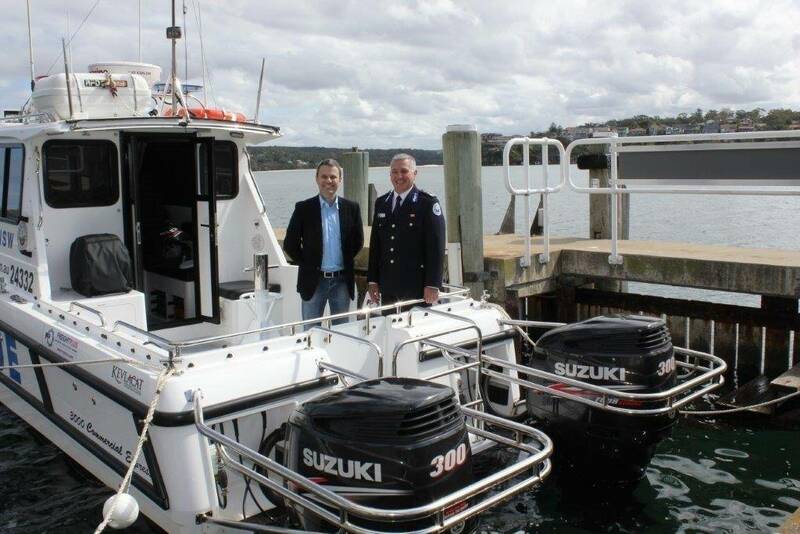 Suzuki Marine will be the power of choice for the Marine Rescue NSW rescue vessel fleet under a new two-year agreement just signed by the two organisations. Commissioner Stacey Tannos and Haines Group Chief Executive Officer John Haines signed the Power of Choice agreement, making Suzuki the preferred supplier of outboard motors for the rescue fleet, at the MRNSW Headquarters at Cronulla. 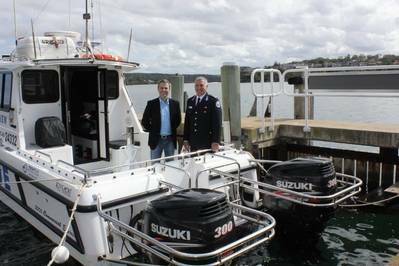 He said the agreement would see Suzuki engines fitted on new and refitted MRNSW rescue vessels, including new boats to be delivered in the rescue service’s accelerated fleet replacement program. “We are delighted to enter this partnership with one of Australia’s most respected suppliers of marine engines, a company known for its engine performance, quality and innovation,” the Commissioner said. “Suzuki Marine will be supplying us with the highest-quality outboards at a competitive price, backed up by top-class service and support. Under this partnership, Suzuki also has provided its recently launched Government and Rescue three-year unlimited hour warranty on the outboards, which is well above industry standard." John Haines, Haines Group CEO said: "“We’re pleased MRNSW has chosen the Haines Group, an Australian-owned family business, for the supply of its outboards, along with the NSW family-owned businesses in the State’s Suzuki dealer network for the service of its fleet of outboard-powered vessels. We are constantly in awe of all of the government and volunteer rescue organisations that we supply for their selfless and tireless work saving lives." Photo: John Haines, Haines Group CEO and Stacey Tannos ESM, Commissioner Marine Rescue NSW at the signing of the Power of Choice Agreement, MRNSW HQ Cronulla.